You have not experienced love until you’ve known the love of Jesus. Human love pales in comparison to the One who never sleeps nor slumbers. He is not moody but is available to listen any time, day or night. If you can even grasp a little of just how much Yahweh loves you, it should make you want to please Him in everything you do. When I think about the deep love of Jesus, I am ready to run into His arms, but then I remember that sin cannot dwell in His presence. What to do! My pride could keep me from Him as I determine to do better so that He will accept me but, alas, no matter what I do, I will never be good enough. The solution then is to humble myself, fall at His feet, confess my sins and my struggles, and turn them over to Him to get rid of for me and to cleanse me from all unrighteousness. Oh, the joy that floods my soul! What a relief! I never knew I could experience such joy! Why didn’t I surrender sooner? I can’t think of one good reason. 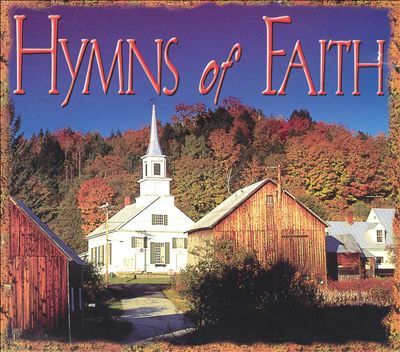 This entry was posted in Encouragement and tagged confession of sin, Encouragement, gospel hymns, Hymns, hymns of faith, joy, love of Jesus, the cross, unrighteousness. Bookmark the permalink. I enjoy your sharing. Did you know there is a new album out called Blessed Assurance the New Hymns of Fanny Crosby. It’s on iTunes and Ricky Skaggs in on the album. I am convinced all my times are in God’s hand. Or as some one put it, When we put everything in God’s hand we come to see His hand in everything. Draw me nearer. Sony, these words are a great encouragement to me as are the old hymns you mention. Too much of the modern stuff is pure drivel and has no sound theological foundation. Thanks for sharing.